When working with a Sperm, Egg or Embryo Donor, it is imperative you work with an attorney who can explain the legal complications of working with known donors in the jurisdiction that applies to the contract. Jennifer has represented Recipients, Intended Parents and Donors for years. She has handled known, identify release and anonymous donor arrangements including those inolving parties in the same family. The laws pertaining to Egg Donors are more permissive than with a surrogate. While just about every state has a law making it illegal to sell eggs, it is not illegal to compensate a woman for her time and inconvenience to go through the process to donate her eggs. And the Egg Donor's time and effort is not inconsequential. 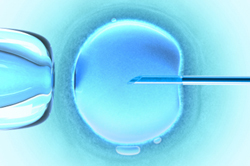 After successfully completing medical and psychological screening, the Egg Donor undergoes a few weeks of daily fertility injections to prepare herself for the Egg Retrieval, which must be timed to coincide with the Gestational Surrogate's menstrual cycle if the plan is to have a live transfer otherwise her Eggs are retrieved and frozen for use later. The Egg Donor need not reside in the same state as the Gestational Surrogate or Recipients. In fact, she can begin her monitoring during her fertility medications at a clinic close to where she lives. As the time approaches for the Egg Retrieval, the clinic performing the Egg Retrieval and Transfer Procedure will require regular access to the Donor for monitoring. Likewise, a Sperm Donor is compensated for his participation in the process through not nearly as much as an Egg Donor since the process for obtaining Sperm is much easier than obtaining Eggs and does not require invasive procedures. In most cases when donor sperm is needed Intended Parents choose to use anonymous sperm donors through a Cryobank, however, some families use a known donor for personal reasons. The laws pertaining to known sperm donors are much different than the use of a donor through a Cryobank. It is important that both the Intended Parents and the Donor have separate counsel as the contract must be clear and the legal risks understood by all parties. Embryo Donation can be anonymous or known as well. Often fertilty clinics offer anonymous Embryo donation to prospective parents. Embryo Donors often prefer to know who is receiving the embryos since any child would likely be a full or half sibling to their child. In instances of known Embyro donation Jennifer has represented both Donors and Recipients in Maryland, Virginia and D.C. and is well versed in the issues entailed in this kind of arrangment. It is important to have a written legal agreement between the Intended Parents and the Egg, Embryo or Sperm Donor if using either a partially known or known Donor. This agreement will delineate fully and clearly the rights of the parties. It will make clear that the Donor voluntarily relinquishes all rights to the eggs or sperm and also neither has rights to make any decisions over the fate of any embryos nor any parental rights over any child(ren). The agreement will also protect the Egg, Embryo or Sperm Donor by making it clear that the resulting child is the child of the intended parents'. It will also stipulate that the Egg, Embryo or Sperm Donor has no parental obligations over such child, regardless of whether the child is born with any birth defects or other problems. As with the Surrogacy contract, you can protect the viability of the Donor agreement by paying an agreed-upon sum for the Donor to have independent legal representation. Each situation is fact specific and depending of the family type and parties involved there may be different issues that need to be resolved and different levels of participation by a donor. For example, a known sperm donor to a lesbian couple will likely have to consent to a second parent adoption after the child is born even if there is a sperm donor agreement stating the donor has no parental rights. This may change as the law catches up to technology but working with a experienced professional is the best way to limit the risks involved and protect your family. Usually insurance will cover pregnancy and delivery, with relevant deductions or co-pays. You will know when matched with a surrogate what type of insurance she has and/or if we need to arrange for a policy for her, which is very likely. There are many insurance plans that now exclude a surrogate pregnancy. The good news is that there are also plans exclusively for a surrogacy arrangement that will insure coverage. Third party reproduction enables an individual the chance to have a child that would otherwise be impossible. Third party reproduction includes donor sperm, donor eggs, donor embryo, surrogacy, and gestational carrier. Have you ever been invited to speak on adoption or ART? Jennifer speaks at Conferences on Adoption and Assisted Reproduction Technology in Maryland, Virginia and the District of Columbia as well as nationally. She was awarded the 2013 Legal Excellence Award by the Maryland State Bar Foundation for presentations across Maryland and in 2014 became a member of the Montgomery County Bar Foundation Leaders. She has presented at ABA Conferences, AAAA Conferences, NBI, Resolve, Inc., George Washington School of Law, UB School of Law, University of Maryland School of Law, American Immigration Lawyers Association and the American Association of Tissue Banks, Villanova Law School, Maryand Famiy Law University, Maryland Judicial Institute, Famililies for Private Adoption (FPA) and many adoption and surrogacy organizations across the region. Her work is valued and her thoughts and opinions respected.